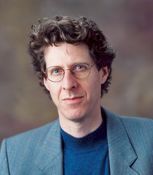 Neil Netanel is a professor in the UCLA School of Law and an expert in copyright law, international intellectual property law and telecommunications law. Prior to entering teaching, Netanel practiced law in Israel for seven years with the Tel-Aviv firm Yigal Arnon & Co., negotiating contracts with the architects for Israel’s Supreme Court building, representing Israel’s first cable television operator, shepherding numerous joint ventures with Israeli high-tech companies and serving on the Israel Ministry of Justice Copyright Law Revision Committee. He also worked for a year at Israel’s Environmental Protection Service.